Not many broadcasters can say they are on the air for 6 hours a day, 5 days a week, but that is exactly what Brian Kilmeade has been doing since 2006. After joining Fox News in 1997, he was soon named co-host of Fox & Friends, where he still thrives today. The show powered its way to the top spot in morning cable TV in 2000 and remains there to this day. After Fox & Friends from 6 - 9AM ET. 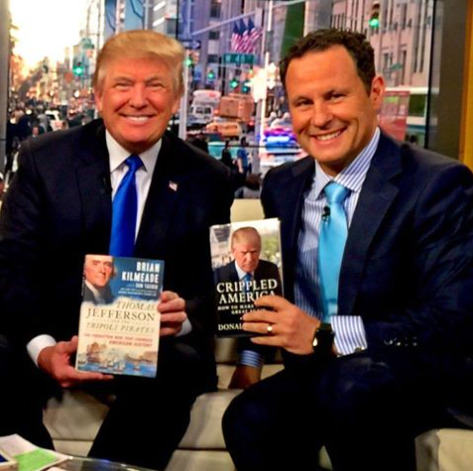 Kilmeade has the privilege of hosting his nationally syndicated radio show, “The Brian Kilmeade Show” on Fox News Talk from 9-12 noon. The show just broke the top 20 as one of the most powerful on radio by “Talkers Magazine”. 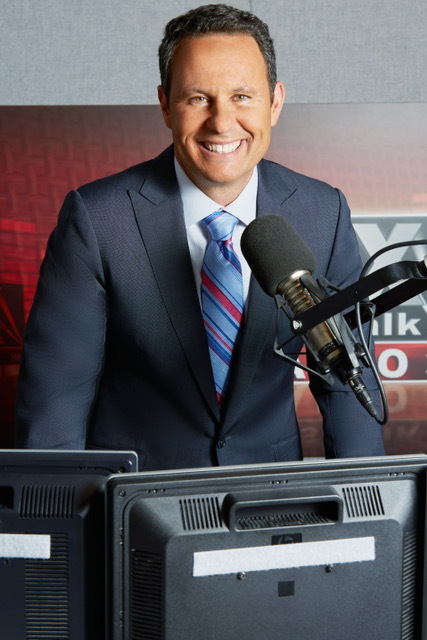 Every weekday morning, Kilmeade provides viewers with the latest on the breaking news, sports, politics and entertainment. During his tenure at Fox News, he has developed the ability to interview and provide insight into newsmakers, politicians, celebrities and athletes. Starting in the fall of 2018 you can see Brian’s new historical series on the all new “Fox Nation TV” called “What Made America Great”. Brian has written 5 books, 4 New York Times best sellers: ”The Games Do Count”, “It’s How You Play the Game” and more recently, “George Washington’s Secret Six”, “Thomas Jefferson and the Tripoli Pirates” and "Andrew Jackson and the Miracle of New Orleans" co- written with Don Yaeger. Number 6 is in the works and will be announced this fall and released in 2019. Combing all sales the books have been bought by over 2.5 million readers around the world and counting. Prior to joining FNC, Kilmeade was an anchor/reporter on NEWSPORT TV. While in Los Angeles, he was an anchor on KHSC-TV and a host on all sports radio’s XTRA AM690. His duties on XTRA included co-hosting The Jim Brown Show where he struck up a friendship that still flourishes today. One of his first jobs was as a correspondent on Channel One, a daily national high school television news program. Along the way, he also managed to fit in 10 years of stand-up comedy experience.